UV Wood™ is a beautiful, finished hardwood plywood panel featuring a clear, durable topcoat. This versatile modified acrylate finish is tough, resisting scrapes, chips and the effects of solvent wipe down. It’s clearly a superior product. It’s no surprise that Columbia Forest Products builds its UV Wood™ panels to be the best. You can see it all the way through. 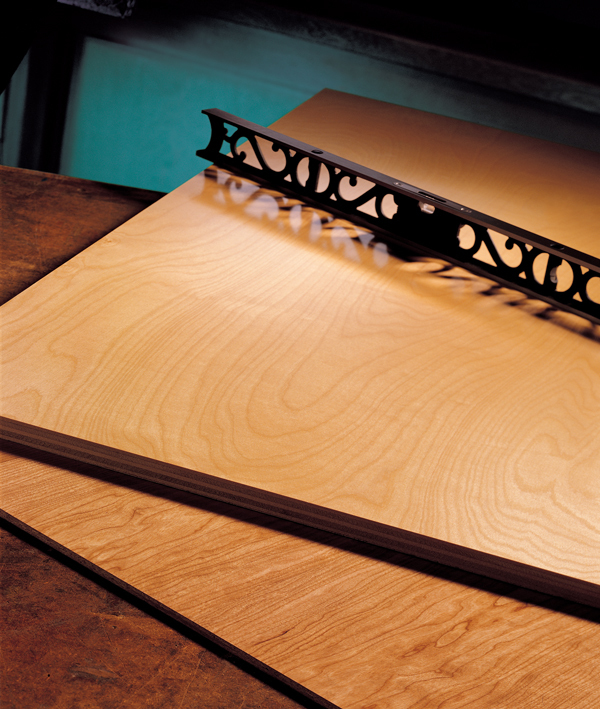 UV Wood is a beautiful, finished hardwood plywood panel featuring a clear, durable topcoat. This versatile modified acrylate finish is tough, resisting scrapes, chips and the effects of solvent wipe down. UV Wood panels are the perfect component for a beautiful “real wood” cabinet interior that’s tough enough to handle everyday wear. It’s clearly a superior product. For today’s cabinet customers, only the best will do. And the unparalleled quality and versatility of UV Wood are characteristics that everyone will absolutely love. Columbia Forest Products’ UV Wood panels employ a durable, VOC-free clear coat that brings out the warmth and beauty of our real wood veneers. The tough finish is ideal for cabinet box interiors. Fabricators will appreciate the time savings of a pre-finished panel, eliminating the need for spray coating in the shop while also giving the customer a real wood alternative to a melamine interior. This upgrade to standard boxes can be offered to cabinet customers at a competitive cost. UV Wood resists scratches, chips and the effects of solvent wipe down. Plus, it’s available in low, satin, medium and high gloss, can be finished on one or two sides, and is available on any core, grade and species combination. It’s perfect for kitchen cabinets, store fixtures, or anywhere a durable, clear finish is required. Beautiful, durable finish resists scratches and chips. Finished surface reduces labor time and cost, increasing productivity and efficiency. Advanced sanding technology for a smoother, more beautiful appearance. Real wood alternative to melamine box interiors or those using low basis weight papers. Overspray can be easily wiped up with acetone. UV Wood panels are balanced and will stay flatter than a melamine one-side panel. UV finished surface reduces VOC emissions. Available on veneer core, MDF and particleboard cores in a variety of thicknesses and any hardwood face and back combinations for numerous design options.